GMT offer a wide range of products all made to fit the exact requirements of the customer. Products include: Mirrors in standard silver finish, tints and antique. Frameless glass doors. 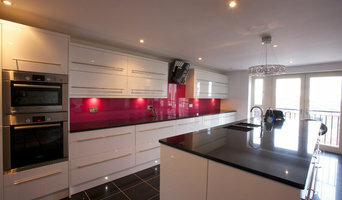 Glass Splashbacks in any colour including colour matching. Shower screens. Mirror TVs. UV bonded furniture. Balustrades. Clear Engineering Solutions is a rapidly developing company working predominantly in Yorkshire. We have an extensive understanding of soil types, weather and typical materials used for construction in Leeds, York, Harrogate and Bradford. We continually evaluate our current knowledge and are always adapting to the newest technologies in development as well as business procedures. Clear Engineering Solutions is very knowledgeable in British construction law and fully comply with Eurocode standards. We are a remedial treatments specialist company, which has been established over two generations. Green Eco Energy are based on the South Yorkshire/North Lincolnshire border providing energy efficient solutions to Doncaster, Scunthorpe, Gainsborough, Goole and surrounding villages. Royston Glass is a family business with over 20 years experience in specialist glass processing and installation. We offer an in house design, survey, manufacture and installation service to suit your requirements irrespective of the size of your project. Definition Audio Visual is a Professional Audio Visual Installation company based in West Yorkshire that installs professional sound systems, stage lighting, projector installations, Sonos music systems and digital signage systems into commercial properties throughout the surrounding areas. We provide a complete audio and visual equipment installation solution from start to finish on all our projects. From a background music system or public address system installation to a projector and screen installation we cover all aspects of an AV installation solutions. Our AV installations have ranged from audio visual systems installed into restaurants, bars, boardrooms and hotels. Cutting Technologies is a specialist laser cutting and engraving company. It uses some of the world’s most technologically advanced laser equipment to laser cut and engrave a variety of materials from wood and plastics to metal and fabric. A business which is built on innovation, it uses its highly skilled team and state of the art lasers in ways nobody else in the world is doing. Projects have varied from laser cutting latex for Paris Couture Week, laser cutting corten for the Conrad Shawcross’ showcase at the Royal Academy of Arts’ Summer Exhibition to laser engraving an Astro-Pi, currently on board the International Space Station as part of Time Peake’s mission. Whether its customers need large design-led architectural pieces or thousands of stainless steel parts, if it’s possible then Cutting Technologies will make it happen. Minimum order value of £150 +VAT. I'm proactive and enthusiastic, keen to help you to develop the best solutions to your property problems. General Contractors/Project Managers We are construction professionals carrying out a multidisciplinary role across the industry. 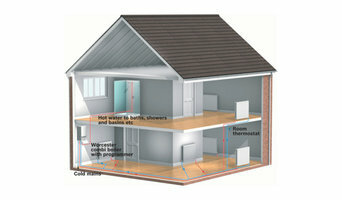 We specialise in enablement, equipping homes especially for the needs of the client. We try to equip homes with specialist bathrooms, hoisting and lifting equipment but without the institutional look. Its a home for all of its occupants and not a hospital ward. We also offer services to repair and renovate Listed buildings. LM Contracts Builders are based in Morley and carry out building and construction work in and around Leeds and Yorkshire. We are proud to have served a whole host of satisfied customers. 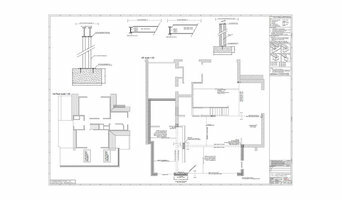 We are a family run business who specialise in building high quality house extensions, loft conversions and new house builds, but this expertise also allows us to work on all kinds of building, construction and renovation projects, however large or small. With over 25 years of trading experience within the insulation industry, FoamSpray have extensive knowledge in both commercial and domestic properties, so you can rely on us to provide you with high quality insulation. Why choose Polyurethane spray applied insulation? The foam adheres to virtually any surface, making the application process quick and easy with no mess. It is applied in liquid foam, sprayed onto the desired surface and left to harden. Once set, the foam becomes rigid and creates a seamless blanket of insulation with no joints for warm air to escape through or water vapour to seep in. Priory have been producing bespoke timber flooring since 2002 though we have been working within the timber industry since the early 90's. We are unique in the finishes we offer and that fact that these products are made here in Yorkshire. Customers are encouraged to come down and see their timbers being produced. All the staff we have working here are enthusiastic about what we can do and take pride in the products produced. Orange Clearance team provide a full remit of Waste Management solution by helping to clear-out your premises and securely dispose of Industrial & Domestic waste. Developing your existing property can allow you to put down some roots by creating extra bedrooms and living space to suit a growing family's needs at an affordable price. When should I hire Leeds, West Yorkshire specialist contractors? Specialist building contractors do as the name suggests and specialise in a particular field or product. Perhaps you have been searching for someone to carry out a very specific job for you, such as create a one-of-a-kind ceiling mural or to work some magic with an old bath, or maybe you need repairs to a piece of specialist furniture or a system that’s been installed in your home? If so then the right speciality contractor in Leeds, West Yorkshire will be the man or woman for the job. More technical home renovation professionals may fall under this category, too. 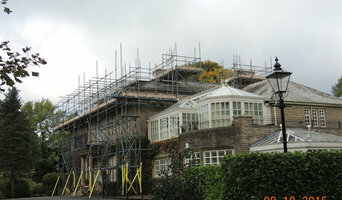 If you are building a property from scratch or planning a large extension then you may need to hire Leeds, West Yorkshire surveyors to carry out building and quantity surveying work – this involves assessing the build site and advising on costs, contracts, procurement and risk, amongst many other areas, and essentially project managing a large part of the build. If you have a thatched house, you’ll need to have the roof re-thatched from time to time and to regularly maintain the thatching to keep it safe and presentable. For this, you’ll need special Leeds, West Yorkshire roof thatchers who will know the type of thatch you have and how to replace and maintain it properly. Whatever you need Leeds, West Yorkshire specialist contractors for, be sure to check the profiles of specialist building contractors and other professionals on Houzz to see if you can find details of a contractor near you that can offer the service you’re looking for. Here are some related professionals and vendors to complement the work of specialist contractors: Main Contractors, Landscape Contractors, Architects & Building Designers, Interior Designers, Kitchen & Bathroom Designers. 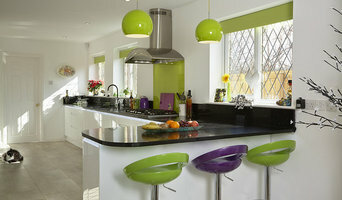 Find specialist contractors on Houzz. Look in the Professionals section of our website under Leeds, West Yorkshire specialist contractors, then select your area for a local contractor. You can also look through Leeds photos of completed projects to see how specialist building contractors might approach design challenges.